Live International Webinar by Stanford Alum. Pavithra has graduated from Stanford University with a 100% Fellowship Scholarship in Electrical Engineering. 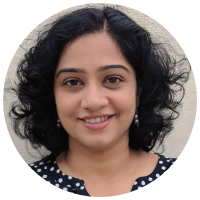 She worked at various hi-tech companies in Silicon Valley and Kaplan in the U.S. She returned to India with a vision to revamp the Test Preparation space with a more personalized study based program and started Galvanize Test Prep. Studying abroad is life-enriching. We’ll share personal experiences on the same! There is a study plan that a student can follow for good pacing and I used it almost everyday. There are also useful reports that come after each test that give insight into the mistakes that a student makes, and from there the student can make adjustments.All in all, Galvanize has been really helpful! I would recommend Galvanize to my friends who want to take up the GRE.